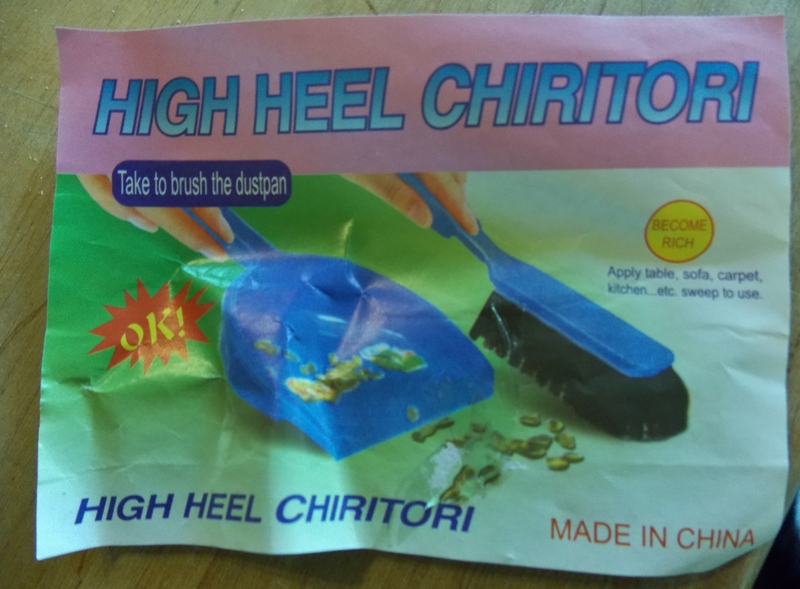 Wow, am I the only with who owns a high heel chiritori? Got it at the dollar store yesterday to sweep up my wood shavings. I am so lucky; it promises to make me rich tho not sure how. Are those pumpkin seeds they are sweeping? Is there money in pumpkin seeds or just in sweeping them? 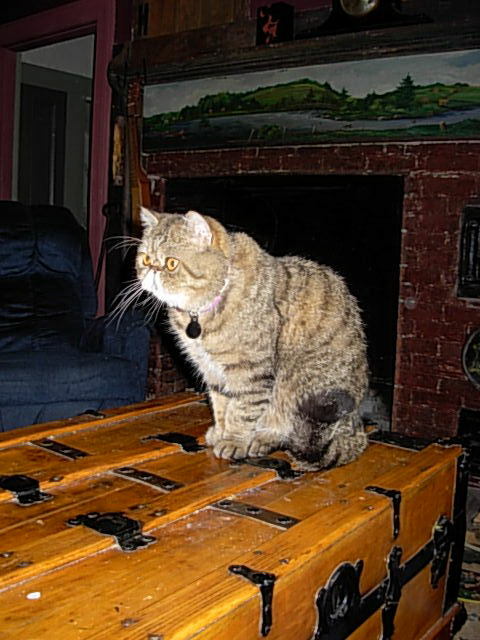 Do I have to wear high heels when I sweep; will it improve the action of the brush? Or maybe the brush is for cleaning the mud off one’s high heels. Not much use to me if that is the case. At any rate, the instructions are clear: “sweep to use” and “take to brush the dustpan”. Do they also sell long handled shoes? I went to the internet in search of meaning but only found proverbs like ” a new broom sweeps clean.” I got off on a major tangent. What ever does this proverb mean – “an egg never sits on a hen?” My daughter says that all proverbs can be cancelled out by other proverbs. I see what she means. Therefore, “a new broom sweeps clean, but an old broom knows all the corners.” And my favourite: “the early bird gets the worm, but the second mouse gets the cheese” (thanks Mr. Wheeler). 1 Comment to "High Heeled Chiritori"
Always a great read!Loved the halloween story !See you Friday.